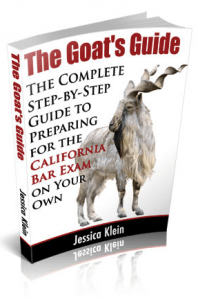 Yesterday, we posted Part I of our interview with Jessica Klein, the author of the book The Goat’s Guide: The Complete Step-by-Step Guide To Preparing for the California Bar Exam On Your Own (affiliate link). Today she is back to share more about self-studying for the California bar. What do you think is the biggest misconception about self-study for the bar exam? I LOVE this question because I think it goes to the root of why people are so freaked out when they hear the terms “self-study” and “bar exam” in the same sentence. I have found that there is this deeply entrenched idea in the minds of law students that preparing for the bar exam on your own is reckless and that those who self-study are at a disadvantage compared to those who take a commercial prep class. My personal opinion is that this perception is mostly a result of fear mongering on the part of big name commercial prep companies who want to get as many customers to buy their service as possible. It is no secret that law students have been primed during law school by fear tactics in order to succeed (we all remember the bell curve!). When you combine the years of hard work with the huge financial investment of law school, then funnel it all into a single exam, the pressure to succeed becomes almost unbearable if you don’t know how to manage it. It is not easy to make a calm, rational decision when you are freaked out or driven by fear. The truth is that the bar exam is just an exam. Sure, there are significant consequences connected with the outcome, but they are not as enormous as we sometimes make them out to be in our minds. People who are in a position to take the bar exam are already very good at taking exams for the most part, or else they wouldn’t have made it this far. And when you take the time to calmly and rationally break down the exam into parts, and look at what is being asked of you, it is completely do-able. There is a system and there are ways to prepare for each task demanded of you on the exam. Furthermore – and this is a biggie – there are a number of ways to get from point A to point B! There is no single approach that everybody must take in order to be well prepared for the bar exam and pass, despite the fact that some commercial bar prep companies would have you believe that you will make yourself an outlier if you don’t follow the crowd and do things their way. Choosing a different path, such as a tutor, my self-study program, or some other option, is not de facto reckless nor does it put people at a disadvantage. 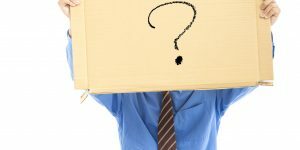 The way to be disadvantaged on the bar exam is to show up on exam day (1) not understanding what is being asked of you, or (2) not being prepared to give the examiners what they are asking of you. It is perfectly feasible to avoid these two unpardonable errors while at the same time doing a self-study; the two are not mutually exclusive. I found a way to be well prepared for every part of the exam by resourcing myself and creating a study approach all on my own, as many have done before me, and many will do after me. What are three tips you would give to someone deciding to study on their own (other than to buy your book)? I can think of only one tip that I would give to a self-studier; almost all bar exam tips I can think of apply to everyone equally, despite their study approach, because whether we like to admit it or not, we really are all in the same boat because we are all preparing for the same exact test. What is unique to a self-studier is that they are going to have to develop and organize a system of study to follow. This is assuming they are not following my program or some other system designed by somebody else (although I haven’t come across any other comprehensive self-study systems to date). This means they are going to have to figure out what resources they need, where and how to get them, and how to spend their study hours, days, weeks and months. This actually takes a lot more time and thought than is apparent on the surface. It also takes a bit of trial and error as you course-correct based on the progress you make as you go along. In fact, it wasn’t until I self-studied for the second time that I really nailed down my approach and streamlined everything so that it was the most effective and didn’t waste any precious study time or effort. I doubt anyone wants to do all that if they can avoid it! Very quickly, my other top two tips that I would give are ones that I think are mostly overlooked. I know I’ve never heard them from anyone else, but they had a very significant hand in my personal success on the bar exam. The first is to cut out as much, if not all, technology and social networking as possible while studying. It is unbelievably difficult for people to leave their cell phones outside the law library when they study. It’s almost impossible not to open a web browser, or listen to your iPod. If you are bold enough to try it, you will find how painful the withdrawal symptoms are from this modern day addiction. If you can find the discipline, however, you will be shocked at how much your mental stamina and concentration increase, not to mention your productivity. Cut yourself off from the world when you are studying. 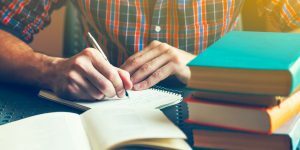 The second is to set yourself up for success on the bar exam by considering the possibility that you might fare better by skipping an administration of the exam. This usually applies to repeaters or people who have a significant amount of other responsibilities in life. Adequate preparation for the bar exam really requires a significant time investment, as well as effective study sessions. If you don’t have enough time, or if you’re too burned out to be effective with the time you do have, you probably aren’t going to do well come time for the exam. The goal is to pass the exam, not to do so in the least amount of time possible. If you need to spread out your studies over the course of more months, do so. This is exactly what I did the second time I took the exam and I’ve never doubted the wisdom of that choice. It is heartbreaking to watch people fail over and over again because there just wasn’t enough of them to go around, yet they wouldn’t take the extra time they needed to prepare. Jessica Klein is an attorney and author of the book The Goat’s Guide: The Complete Step-by-Step Guide To Preparing for the California Bar Exam On Your Own. Jessica’s other activities include the creation, development and launch of a company that caters to the childcare needs of its members, as well as her primary role as homemaker for her family. Thank you Jessica for your thoughtful insight into self-studying for the bar and bar prep in general. 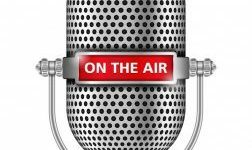 You can read here Part I of Jessica’s Interview on Self-Studying for the Bar Exam. Trying to decide whether to take the next bar exam? I just failed the bar exam. Should I take the next bar exam offered, or take a break? Bar Study Tips: Establish a Bar Exam Routine. Image from Be A Goat.